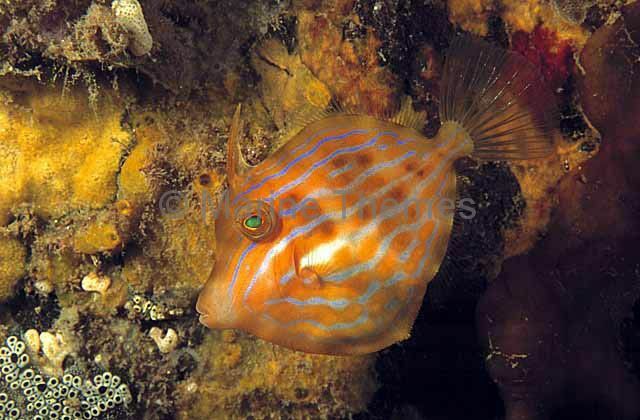 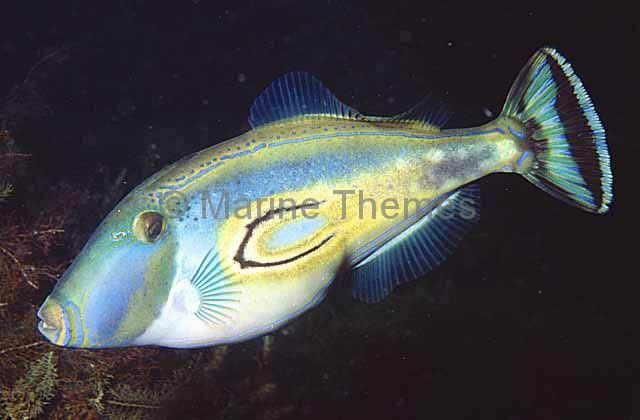 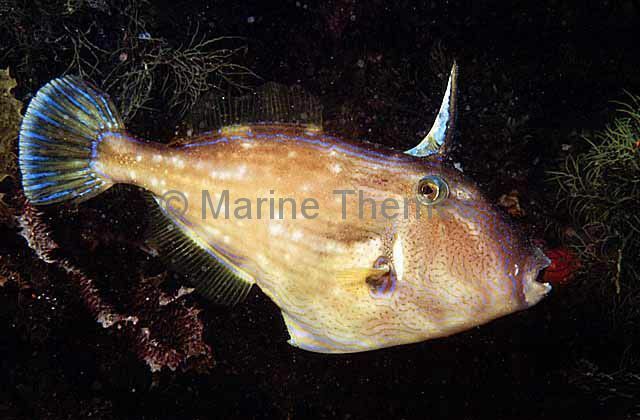 Six-spine Leatherjacket (Meuschenia freycineti) Female colouration with defensive dorsal spine erect. 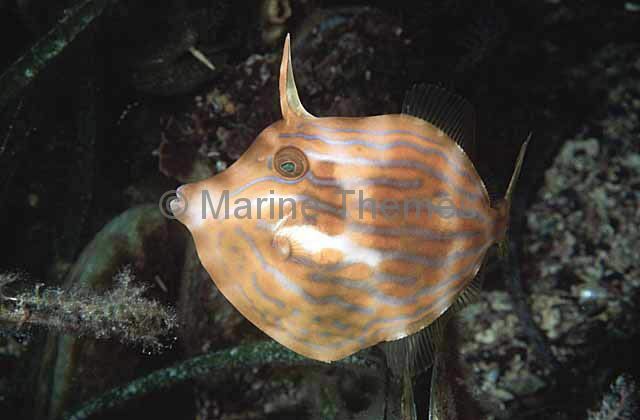 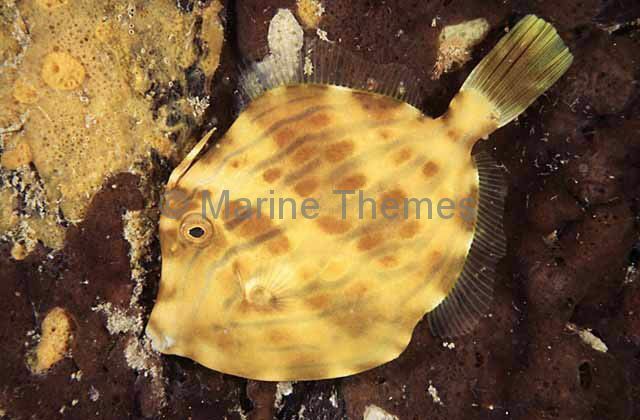 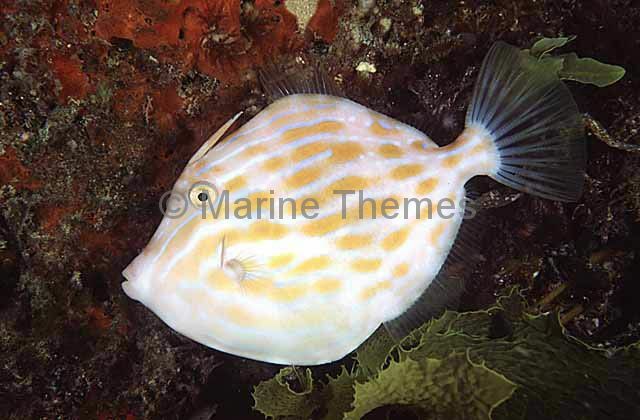 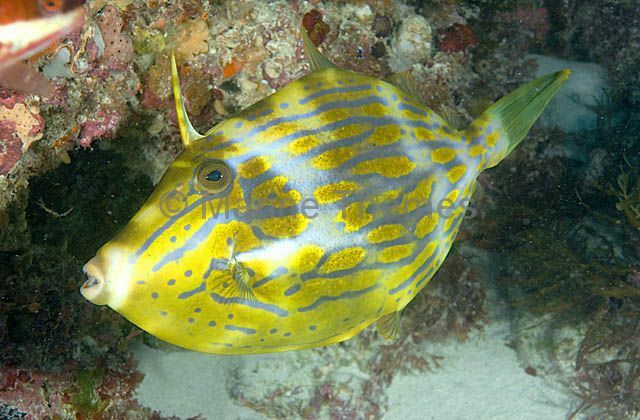 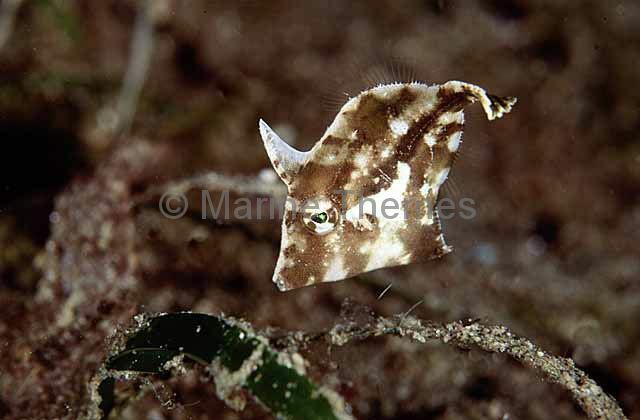 Six-spine Leatherjacket (Meuschenia freycineti) Female. 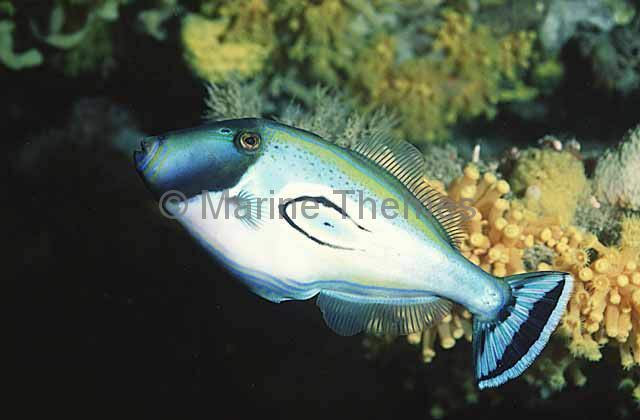 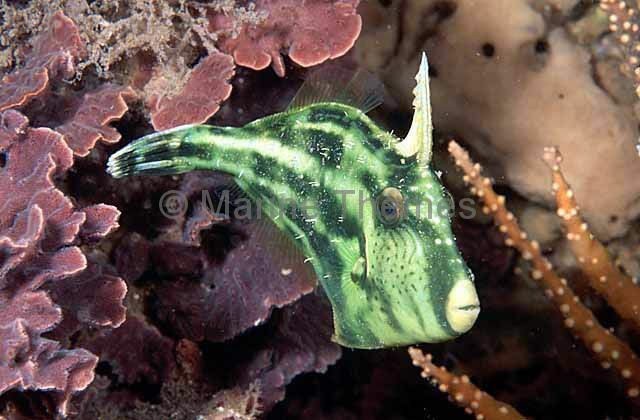 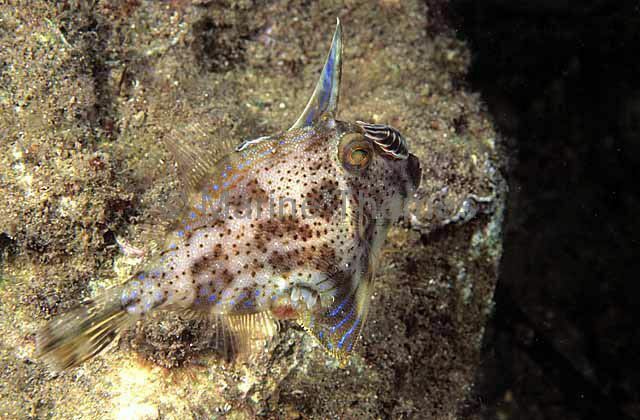 Mosaic Leatherjacket (Eubalichthys mosaicus) gripping sponge to anchor itself while sleeping. 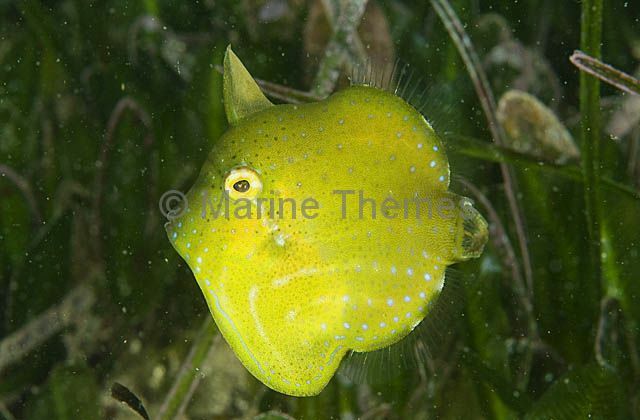 Seagrass Leatherjacket (Acreichthys tormntosus) Juvenile foraging among sea grass. 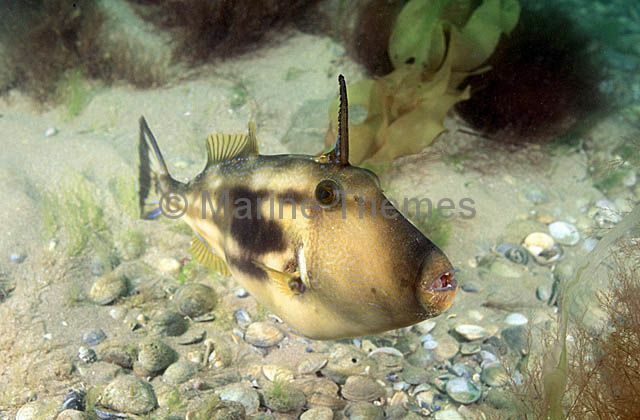 Rough Leatherjacket (Scobinichthys granulatus) with various parasitic isopods. 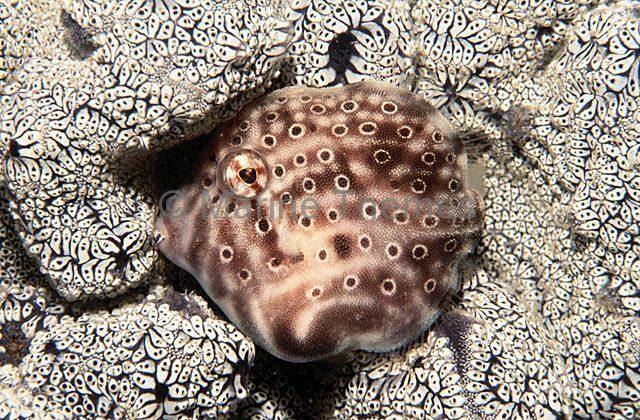 Pygmy Leatherjacket (Brachaluteres jacksonianus) asleep at night gripping ascidian to prevent being washed away in rough weather. 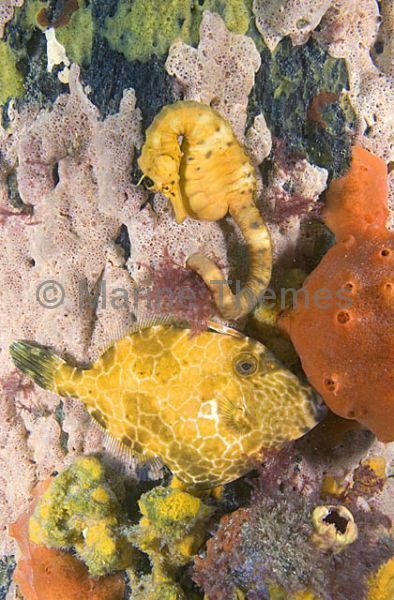 Big-belly Seahorse (Hippocampus abdominalis) holding on to algae on reef wall with Gunn's Leatherjacket (Eubalichthys gunnii) holding onto sponge while sleeping. 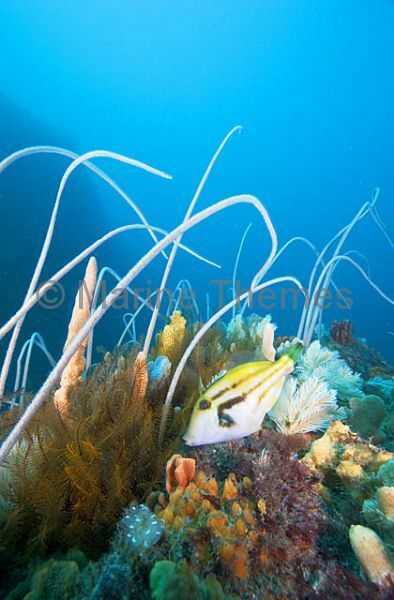 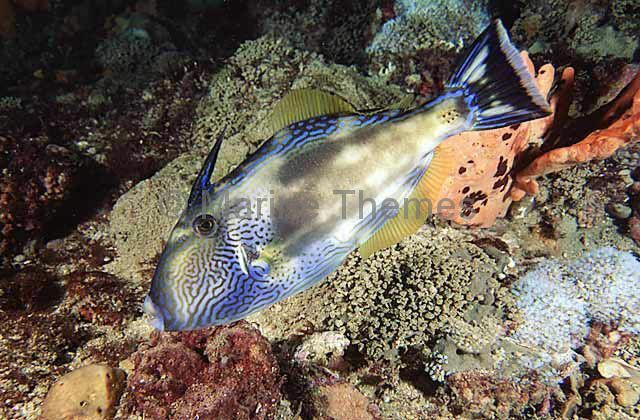 Brown-striped Leatherjacket (Meuschenia australis) foraging among Whip Corals (Primnoella australasiae), sponges and other sessile marine life on temperate deep reef. 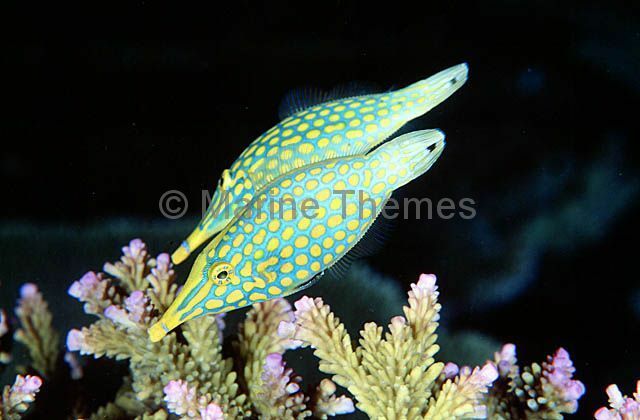 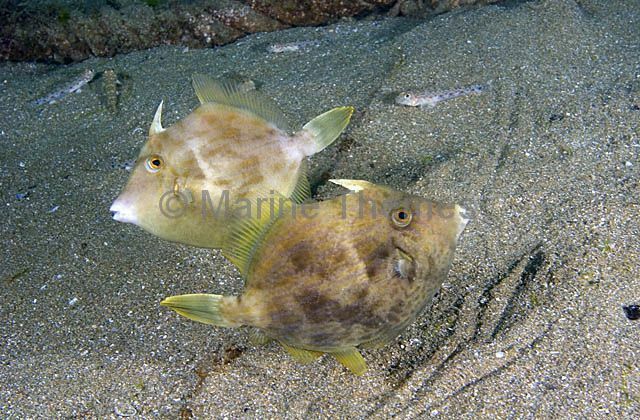 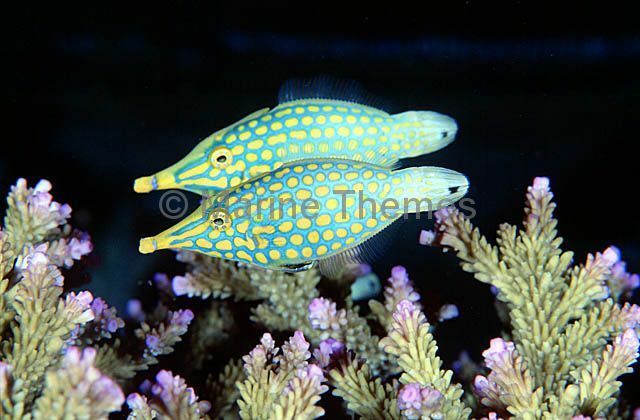 Cirrated Leatherjackets (Stephanolepis cirrhifer) Pair of females in minor territorial dispute.